The Hayne Plane's Fame Could Be On The Wane. Looks like Plan C hasn't worked out so it could be back to Plan A -- a return to the NRL for code-hopping superstar Jarryd Hayne. 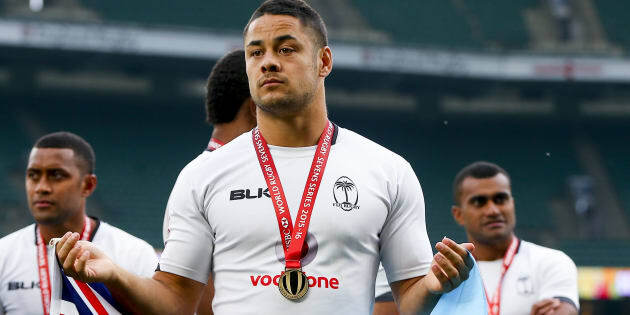 Hayne announced on Tuesday that his Rio Olympics Rugby Sevens dream is over, after failing to adjust quickly enough to the abridged form of rugby union which makes its Olympic debut next month. "Last Friday I had a meeting with [Fiji coach] Ben [Ryan] to discuss my future with the team and I was informed that my time has ended. As much as I would have loved to go to Rio, I too knew I wasn't ready yet," Hayne wrote on Facebook. "During my time with the team, I pushed my body above and beyond. I used all my experience as a professional athlete and have tried every day and in every way possible to make this team and make it better but unfortunately, time has been against me." When Hayne announced that he was leaving the San Francisco 49ers NFL team to try his hand at Olympic sevens rugby, The Huffington Post Australia wrote that Hayne had gone from wide-eyed dreamer to code-hopping mercenary. Lmao wtf mate? Make your mind up. You had your dream in San Fran and you should of stayed there instead trying to be a hero at every sport possible. Lost all respect for you, you were once an idol to people and now you just look like your failing at everything you try. Stick to one thing and move forward not back. Other commenters say it's now time for him to return to the struggling Parramatta Eels, who have officially reached out to their former star. Spiritually and in sporting terms, Hayne has always seemed a man in search of a higher purpose. Playing NRL at the Eels seemed a little ho-hum to him two years ago when he left, but helping get the club back on the rails could now be the greatest sporting challenge of his life.